Owner and head pizza maker Vic Bernardini at work. When Jeff Varasano opened his eponymous restaurant in Buckhead in 2009, the former engineer-turned-self-taught-pizza maker had already gone certified viral for his lengthy dough recipe. Nearly a decade later, another pizza hobbyist-turned-pro, Vic Bernardini, is making his mark on metro Atlanta’s Neapolitan pizza scene. Bernardini studied and made pizzas at home for 15 years before his wife and business partner Diana encouraged him to build a brick oven in his backyard. He began honing his craft with wood-burning ovens, which he cooks on exclusively at his first restaurant, Pizzeria Lucca. Lucca, which opened last year in Historic Roswell, has a barebones, industrial look similar to that of Atlanta Neapolitan powerhouse Antico. Three domed wood-burning pizza ovens serve as the focal point, and patrons sit at large picnic tables stocked with big rolls of paper towels. The menu has fourteen different pizzas as well as a build-your-own option, plus four salads, meatballs, and dessert. The best pizza on the menu is the Margherita, served either “regular” or “extra,” the latter of which includes buffalo milk mozzarella instead of fior de latte (cow’s milk). The wood-fired oven’s intense heat preserves the lightness of Bernadini’s dough, making it crispy but still tender. A light coating of tomato sauce (made with San Marzano tomatoes) and a light touch of cheese and basil made for an exceptional Margherita worthy of the drive to Roswell. 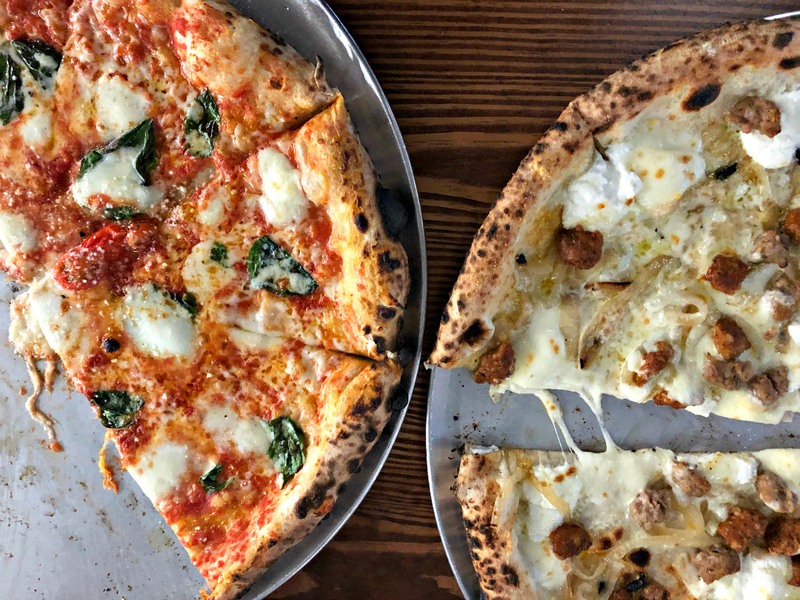 But the light crust has a drawback: the heavy toppings of the white pie—Italian sausage, onions, and ricotta—were too much and weighed the pizza down.